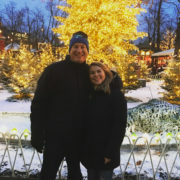 Over Thanksgiving break 2017, I was fortunate to be in Denmark to visit my daughter Emma. A college junior, Emma is studying in Copenhagen for the semester. Emma is an education major at Denison University in Ohio and she is studying education overseas. Not only is she learning about the Danish way of educating children, she has traveled to Helsinki, Finland as well as Norway and Sweden in order to gain a bigger picture of education across Scandinavia. As her father, and someone who has been passionate about learning and education since before she was born, I am quite envious. I want to know more! I am grateful for the few days I had seeing the sites of the Danish capital with my daughter as tour guide, but I would love to have the hands-on opportunity to learn about Scandinavian schools for a few months. There have been a number of articles in the American press in recent years extolling the virtues of education in Finland, Denmark and other countries. Their kids consistently rank at the top of the international test scores and their people are always at the top of the happiness charts. In American Kindergartens, in recent years, particularly in public education, there have been huge shifts towards a heightened focus on academics, especially literacy. Most American schools are teaching hard skills earlier and in a more structured way than ever before, and often before children are developmentally ready. And while time spent on literacy in American Kindergarten classrooms has gone up, time spent on arts, music, and child-selected activities (like choice time) has significantly dropped. In Finland, kids start school at age 6 and Finland’s Kindergartners spend a sizable chunk of each day playing. When children play, they are developing their language, math, and social-interaction skills. Play benefits cognitive, social, emotional, and physical development. When play is fun and child-directed, children are motivated to engage in opportunities to learn. In Denmark, the intentional teaching of empathy is considered as important as teaching math and literacy, and it is woven into the school’s curriculum from pre-school through high school. The Danes’ highly developed sense of empathy is one of the main reasons that Denmark is consistently voted one of the happiest countries in the world (this year it is once again number one). Empathy plays a key role in improving our social connections, which is a major factor in our overall happiness. Teaching empathy has not only been proven to make kids more emotionally and socially competent and greatly reduce bullying, it can also help them be more successful and high-functioning adults in the future. The Scandinavians have figured out the recipe for success. At my school in America, we focus on these concepts every day too. One of my favorite places in the whole world is Denver’s Tattered Cover bookstore. Over winter break, two of my heroes have performed readings there. One was my good friend Jamie Horton, a long-time actor with the Denver Center Theatre Company, who is now an associate professor of theatre at Dartmouth College. Jamie is in town playing the role of George Bailey in a local production of It’s a Wonderful Life. Almost every year, for the last eighteen years, Jamie has presented the annual Holiday Reading at the Tattered Cover. It’s a firm favorite in the Denver holiday calendar. My other hero who stopped by the bookstore is a brand new author who just published his first book. 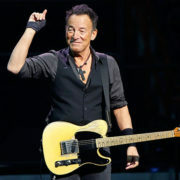 However, you might know him for his rock and roll: Bruce Springsteen. The Boss was in the same event space a few days earlier reading from his new autobiography, Born To Run. I have learned a lot from these two men over the years: one I’ve never met, one I meet for breakfast every time he’s in town. Springsteen gave me the soundtrack of my high school and college years. He gave me lyrics that taught me the rhythms of my adopted country. He suffuses his songs with an understanding that life’s a tough road to travel, but hope is real, and redemption is available for everybody. I listen to his music regularly on my commute to Friends’ School. Horton gave me my first glance behind the scenes of professional theatre. In the few short comedy skits that we performed on stage together, he gave me confidence in my ability as an actor and a director that inspired me to found a children’s theatre program. I have now directed hundreds of children over the years in over forty full-scale productions – and I know that theatre will always play an important role in my life. At the Tattered Cover on Monday night, Jamie read a couple of children’s favorites: The Grinch Who Stole Christmas and The Polar Express. He read a story by Pearl S. Buck and poems by Maya Angelou and Howard Thurman. There was one poem in particular that truly caught my ear. This poem, The Shortest Day, by English author Susan Cooper, is a moving commentary on the winter solstice. It reminded me of why, at my school, we honor the cycles of the seasons through our rituals and celebrations. Developing personal spirituality is a lifelong journey and a natural aspect of childhood. I have always encouraged children to have open hearts and minds as they grow, explore, and share traditions, developing self-awareness and understanding of themselves as part of the bigger world. Wherever, whatever, and with whomever you are celebrating at this time of year, may you enjoy! For 2nd grade teacher Caroline Long, teaching is indeed her passion (well, teaching, dogs, and skiing!) I recall her saying at her interview how excited she was at the prospect of teaching 2nd grade, because her own 2nd grade teacher had “changed my life”. Caroline wrote me that note after I had asked her if I could share a simple email that she had written to parents in her class. In response to the email, a long-time parent wrote to me: “ I swear, this email that Caroline just sent is the most information I’ve ever heard about what is happening on a day-to-day basis at school re the social/emotional inner workings/teachings!! And it is hugely reassuring, and I am incredibly grateful that she took the time to write it. I honestly have never seen everything laid out so explicitly. Everything she’s doing makes a lot of sense, and I agree with it both philosophically and pragmatically. And I can see how for an outside person wouldn’t make as much sense, given that Caroline is holding the whole context and using events of the day to create learning opportunities. 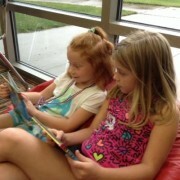 “I have had many questions recently about our social and emotional curriculum, BrainWise. It is a supplement to the work I am already doing with your children. BrainWise focuses on the individual child. The focus of this curriculum is on critical thinking and decision making skills. Here is a link to this curriculum if you would like to read more: http://www.brainwise-plc.org. I’m proud to work with teachers like Caroline. She and others are helping students become better people. At the NAIS annual conference, I will be sharing the story of the Project and the lessons that our school community learned. If you’re attending, I hope you will join me. These lessons included far-reaching associations with the leading gratitude researchers and a school community transformed by the power of gratitude.